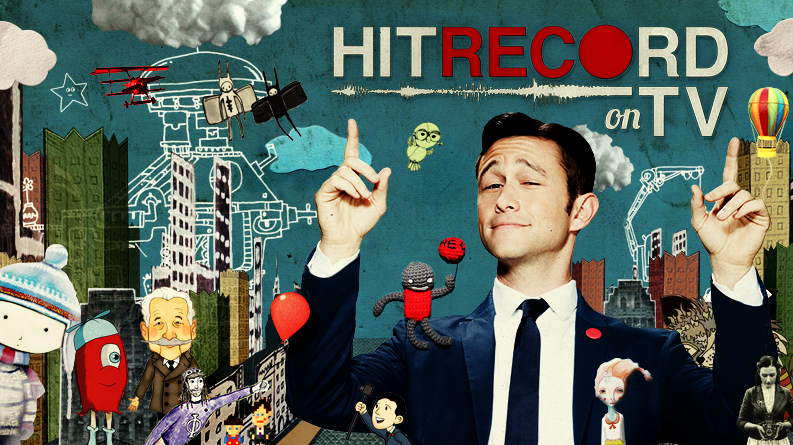 HITRECORD ON TV is an extension of Joseph Gordon-Levitt’s popular open-collaborative production company hitRECord. The show’s unique take on the variety show format puts the spotlight on the final product after Gordon-Levitt and his team culls these individual pieces from hundreds of contributors to create short films, live performances, music, animation and more. Ladies and gentlemen, I am beside myself with joy and anticipation D It is my sincere pleasure to present the very first episode of HITRECORD ON TV! Watch the entire first episode here before it premieres on television. Everything you’re gonna see on this show was made collaboratively on our site — hitRECord.org — and the work of 426 Contributing Artists is featured in this particular episode. There’s gonna be 8 episodes this season, each revolving around a different theme, like RE: Space, RE: The Other Side, and RE: Money. And since this is our first ever episode, I figured the theme of this one would be RE: The Number One. HITRECORD ON TV will be coming out on January 18th on a new cable channel called Pivot. I’m deeply proud of this show, and I think you’re realllllly gonna like it. Honestly, making this thing together with all the artists from around the world in our hitRECord community has been one of the most challenging and rewarding experiences of my life so far. So, without any further ado, enjoy the show! Print article This entry was posted by Art Eddy III on January 10, 2014 at 1:44 pm, and is filed under Videos. Follow any responses to this post through RSS 2.0. Both comments and pings are currently closed.